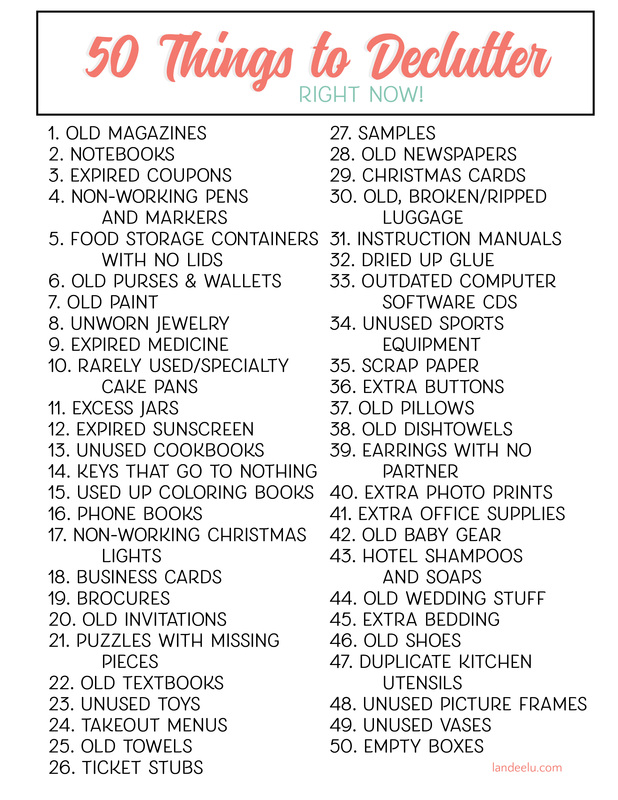 You are here: Home / tips / Laundry Tip: Save LOADS of time! Are you ready for the laundry tip that will change your life? “Change your life” might be overstating it a bit but you will certainly be happy if you decide to give this laundry tip a try. It has definitely changed the way I do laundry and, don’t shoot me, but I actually enjoyed doing laundry! I love the entire process of changing stinky clothes to fresh smelling clean clothes but that is a discussion for another day… this tip will make it so you still change stinky clothes to clean clothes (love it or hate it) but in MUCH LESS TIME. First, tell me if this sounds familiar… one of your children is out of underwear so some laundry doing is in order. You think to yourself, “Well, if I’m going to wash this kid’s stuff, I may as well do everyone’s laundry.” So you go around the house, gathering up all of the laundry, heaping it into several baskets and you carry it to the laundry room. Now you spend the next 20 minutes going through it all, sorting it into whites, lights and darks. Then you proceed to start washing it. Depending on how many loads you have this could take you all day. As the loads finish up you are then tasked with sorting out which clothing belongs to which family member. If you have two children close in age and the same gender then you probably spend a considerable amount of time looking at tags and sizes and trying to remember if this was still the older child’s shirt or did you give it to the younger now that it is outgrown? Has it been outgrown? You can’t remember so you pick a pile and hope that’s right. Side note: later your older child comes down with their belly showing because they have a shirt that is too small on, but they don’t notice :). After all the laundry is completed, you sort the clean piles of laundry back into separate baskets and go about delivering them to their respective rooms. It’s now 1am and you have repeated the words “I hate laundry” to yourself about one million times. I’m guessing that at least some of this, if not all, occurs on a regular basis in your house. I know it used to in mine. That is until I figured out the secret to saving LOADS of time (see what I did there?) doing laundry! Laundry Tip, Save LOADS of time! Now I’m going to share my laundry tip with you…. STOP SORTING. “Stop sorting? What the heck? How can I do laundry without sorting anything?? ?” you are now, no doubtedly, saying to yourself. It means exactly what I said. NO. MORE. SORTING. What you do is you take one household member’s laundry and do it all in one or two loads. As it comes out of the dryer you simply fold it and put it back in the basket you brought it down in and return it to said household member’s room. THAT’S IT. Even if you want to do several household members’ laundry in one day, you still do each person’s one at a time. This saves massive amounts of time because there is no sorting to do at all! Let’s go through that scenario above again but with my method…one of your children is out of underwear so some laundry doing is in order. You take that child’s laundry to the laundry room. This child is quite small so all of their laundry fits in one load. The wash part takes about 35 minutes. Drying takes another 30 or so. You take clothes out of the dryer, fold them, put them back into the basket they came from and return that basket to the child’s room. You’re DONE in about an hour. No sorting before or after the wash at all! The fact of the matter is that everyone has different amounts of clothes. People need their laundry done at various times. There is no reason to do EVERYONE’S laundry simply because one person needs theirs done! It’s a waste of time! And I can’t emphasize enough how nice it is to not have to sort everyone’s clothes out after taking it out of the dryer. Try it. I promise you will love it. And if you are concerned about the colors bleeding go ahead and throw in a Shout Color Catcher (affiliate) sheet with the wash. They are a lifesaver! Since adapting this method I am shocked at how much LESS laundry I actually do. And even when I have to do it, it is quick and painless so it never hijacks my entire day. Stop sorting and stop the laundry insanity! If you decide to give this laundry tip a try please let me know what you think! And if you have any other laundry tips and/or hacks I’d love to hear them! I don’t have kids, but I invested in two three-compartment hampers for my husband and me, We sort our clothes as we wear them, so all I have to do is dump each hamper in the washer as necessary. It’s also really nice if I only need to wash certain items (like stuff I wear to work). Yep, I totally agree. Each of my kids have their own hamper, I try to do a load or two a day, washing each of their clothes separately. Sometimes I throw in a few things here are there with a load I am doing, but it definitely goes much faster doing one kid’s laundry basket at a time rather than dumping them all together. I also fold as I take out of the dryer so I don’t spend hours later folding. Another tip I don’t use a basket, if I can get away with it. I immediately carry their pile of clothes to their room and put them away. I tend to let a basket sit for days before emptying it. But if I carry it, I have to empty my hands before I begin my next project. Thanks for the great tips. Yes! That is another great idea! I try to let my kids put their own stuff away but it for sure sits out for days every once in a while and makes me crazy! I love folding right out of the dryer too. Thanks for stopping by! I have 2 boys and have been doing this for years! I have been having each family member fold their own clothes when I can and then they put them away-well they carry them to their room! Ooooh! Getting them to fold their own clothes… that is next level stuff! 🙂 I’m glad you love doing everyone’s laundry separately too! It saves so much time! Thanks for stopping by! Now that I have two teenagers and a preteen, I have started doing each person’s laundry separately. You’re right, it’s a huge timesaver! i just found your blog while looking for gift basket ideas, and can’t wait to read more. My laundry never leaves the laundry room without being folded. Major life saver there. I put it all in one basket, my 14 year old takes it upstairs and sorts the clean into piles, and brings the dirty stuff back to the laundry room. I have my boys bring their own baskets as they fill up and we do have a hamper with 3 compartments in the laundry room to catch stuff before it becomes a full load. We have lights, dark and towels. It’s been a pretty effective system for us. Love your idea too! My kids – I have 4 – have all been doing their own laundry since they were 10. Each child has an assigned day to complete their laundry. They sometimes make deals/swap with one another. I monitored their 1st couple of years, but now they help each other. One less thing for me. You are amazing teaching them these life skills at such a young age. Love it! Hubby and I semi-presort our socks/underwear, work wear, and other clothes into 3 hampers. It’s easy enough to separate his/hers. I fold on the bed so we can’t go to sleep unless clothes get put away. I love your idea! I raised 8 kids and worked…but put clothes in the dryer only for a out a minute or so….then all tee shirts we’re hung to finish drying…lasting years longer from non dryer overuse…saved a bundle on electricity and gas.. and when dry they went directly into closets already on hangers…my husband made the clothesline on my long covered patio…so this was ok all year long…hand me downs we’re like new, very easy method. I learned to NOT turn their clothes right side out except good dress clothes. That cut down on time tremendously. I don’t have kids, and I don’t own a washing machine! I haven’t had one for six years. I wash a few things,every day in a bucket, one sheet a day, one towel a day. And dry on a line. Even back when I owned a conventional washer I never used a dryer. The sun and wind are far superior. It’s a long story as to why I don’t have a machine, but short version is, I moved overseas and the house I rented had a machine, so I sold mine before I went. The rental machine never worked, wasn’t replaced by the landlord and new machines cost the earth, so I went without. After a while, it’s easy. And yes, this is all true. What type of dryer do you have that you can put everything item in there?? Most of our stuff can’t go in as as it will shrink, had that happen a few times by mistake. Plus will cost me a fortune in electricity. But I do wash everything together. I use radiant mix colour wash. Has saved me so much time since switching. Hi Jade! I try to not buy clothes that can’t go in the washer AND dryer because I don’t like high maintenance clothing but my point here is to just wash (and dry, however you need to do that) ONE person’s clothes at a time. Rather than put everyone’s clothes together, sort, wash, dry, fold, sort again. So however you do laundry try just doing one individual person’s clothes at a time to skip all the annoying sorting! Thanks for the comment!